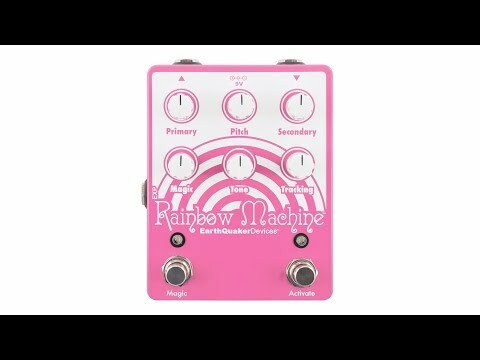 Product Overview Welcome to the Rainbow Machine, in all its synthetic glory! This one is for experimenters, adventurists, and noisemakers. Totally not for purists and/or tone hounds. There are no “natural sounds” that come from this box. It takes modern DSP and uses it as a tool of future past to create real-time pitch shifting using digital oscillators. • Expression Jack: This is an expression pedal control jack for the pitch. The Pitch control is defeated when an expression pedal is inserted. 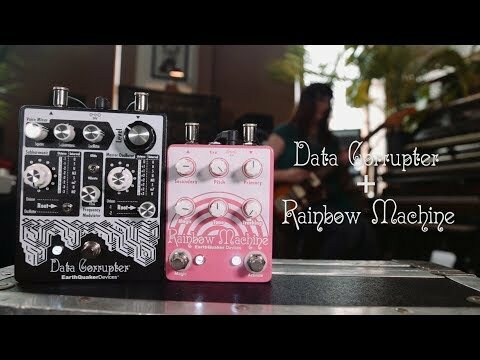 We recommend the Moog EP-2 or EP-3 for use with the Rainbow Machine and cannot guarantee that any others will work. For standard latching operation, tap the footswitch once to activate the effect and then tap again to bypass.? For momentary operation, hold the footswitch down for as long as you’d like to use the effect. Once you release the switch the effect will be bypassed. ?